Fly to Naples and overnight in central hotel. Sail to the pastel-coloured Procida, rated as one of Italy's most beautiful islands; enjoy a rewarding walk and spectacular island views; boat to Ischia. 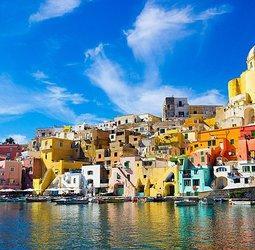 Panoramic coastal walk from the colourful harbour to the quaint fishing village of Sant'Angelo; overnight in Ischia. 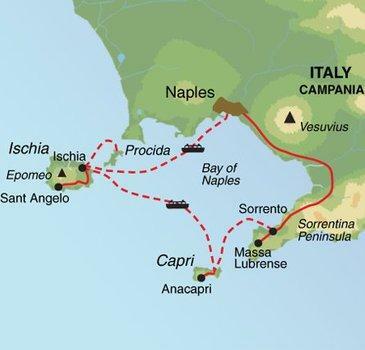 Morning boat to Capri; walk along the unspoilt western coast of the island and take an optional boat trip to the iconic Blue Grotto, Capri's most famous sea cave; overnight in Anacapri. Free day in Capri: enjoy an optional walk, explore the glamorous town's centre or take a boat tour to explore the island's best swimming spots; boat to Msssa Lubrense. 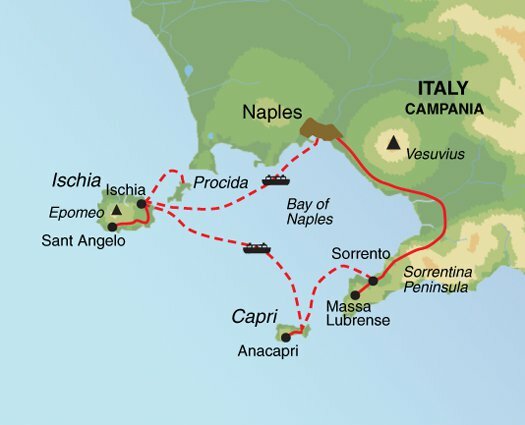 Spectacular walk to discover Capri's rugged nature, caves and stunning view points. Boat to Massa Lubrense; overnight in Massa Lubrense. Walk to the beautiful Sorrento; free time for sightseeing and enjoy a delicious limoncello tasting; return to Massa Lubrense. 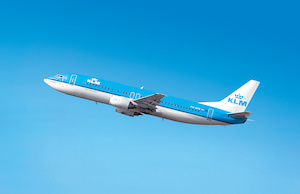 Transfer to Naples airport and fly to London.